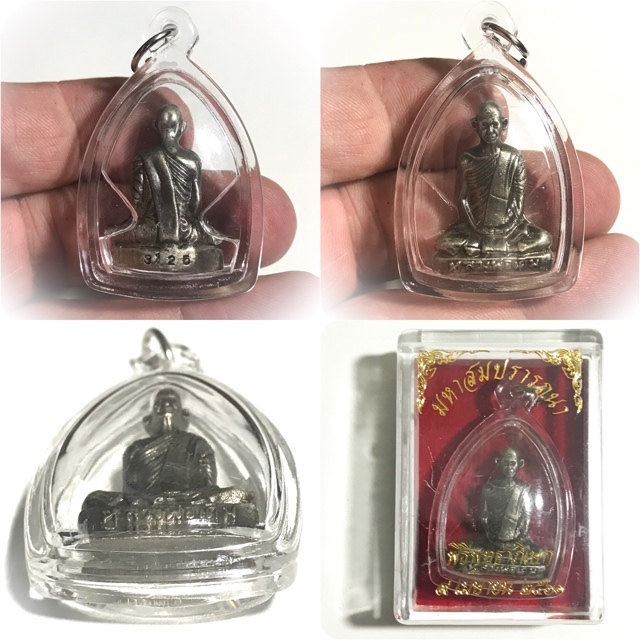 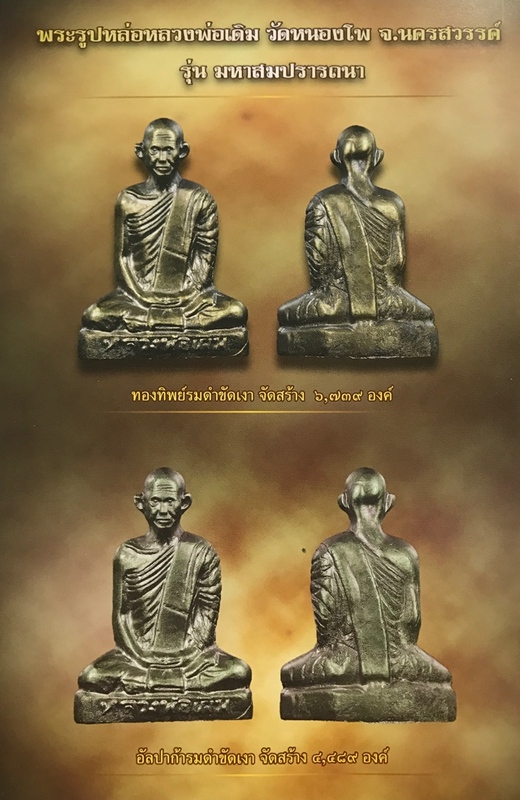 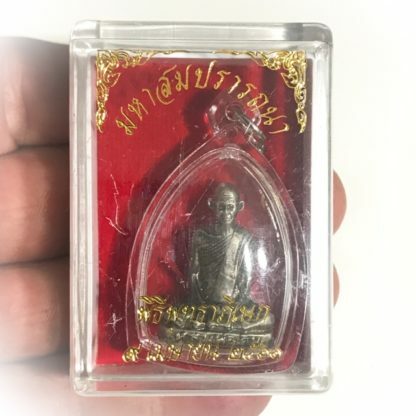 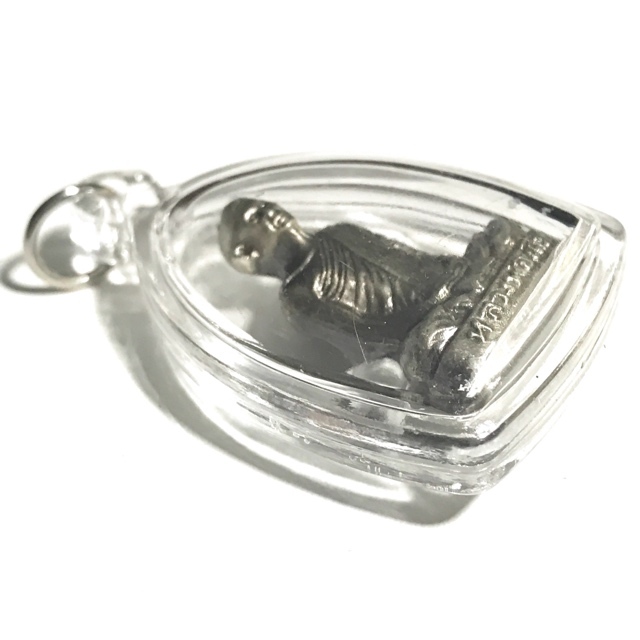 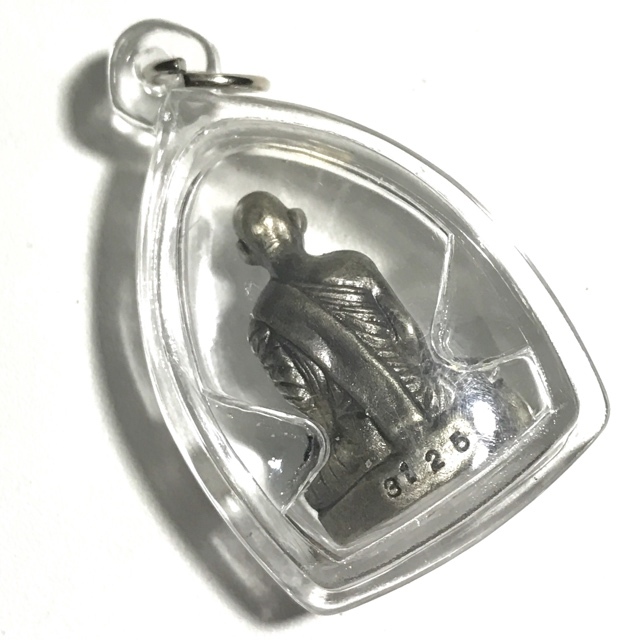 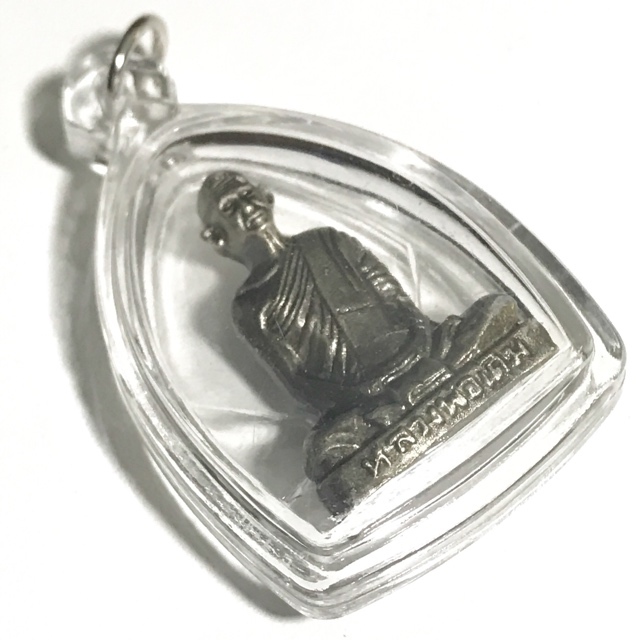 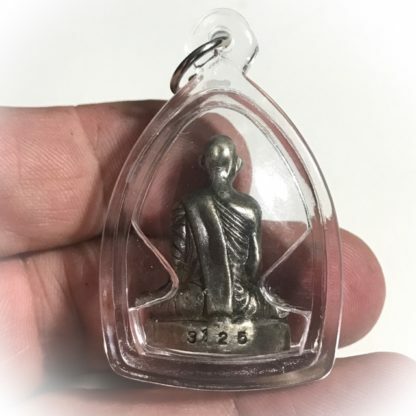 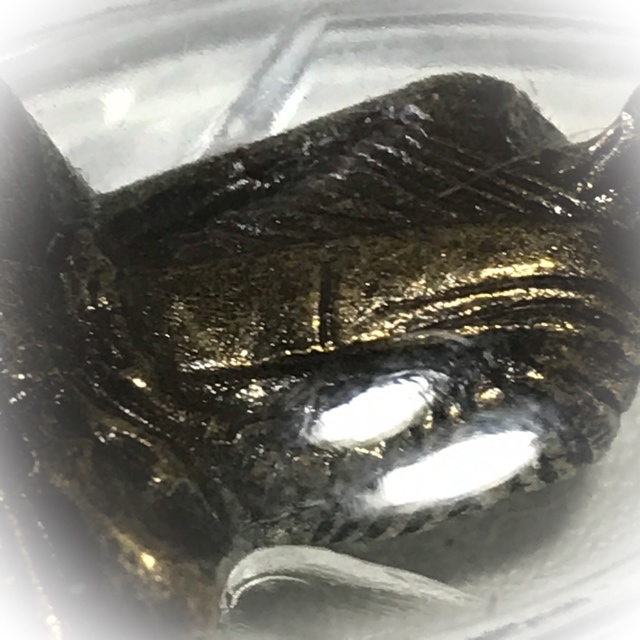 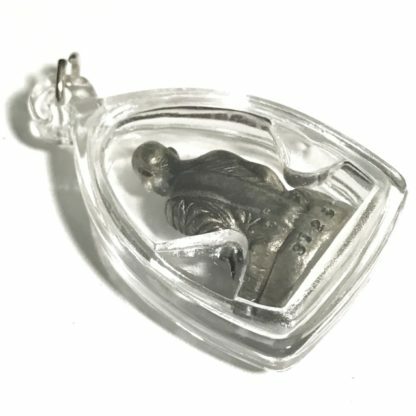 Roop Lor Luang Por Derm Wat Nong Po Loi Ongk Statuette in Nuea Tong Albaca Khad Ngao (Silver Pewter Sacred Alloy with matt finish), with Waterproof Casing and Original Box, released at Wat Po Sri, in Nakorn Panom, and blessed by Masters of Luang Por Derm’s Lineage, with the Meritorious Charitable goal of raising funds for the building of a Chedi Stupa Relic Shrine at Wat Po Sri, and to build a study hall at Wat Fa Khern Suwannadum Pa in Nakorn Panom . 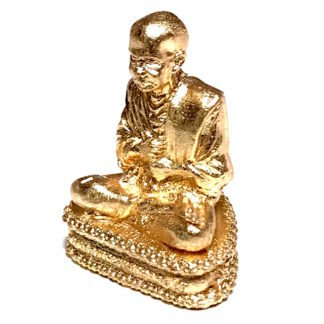 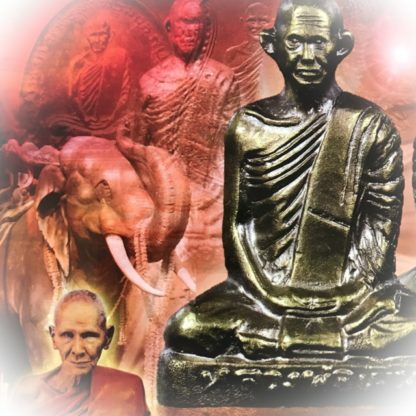 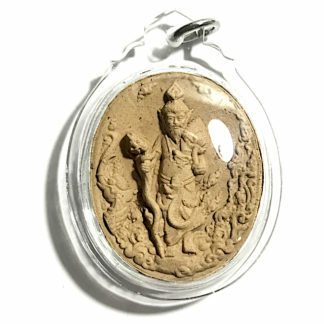 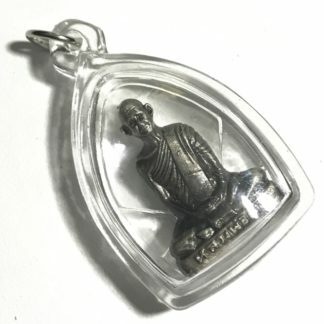 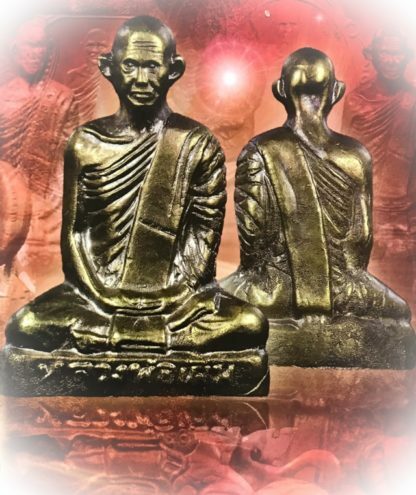 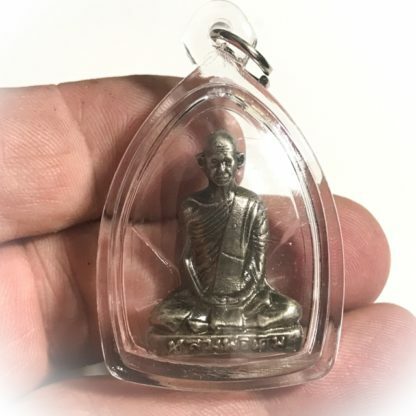 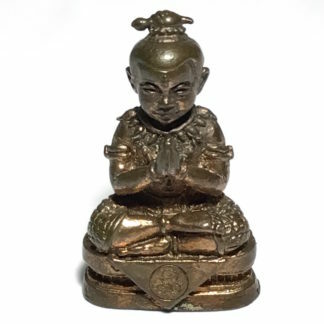 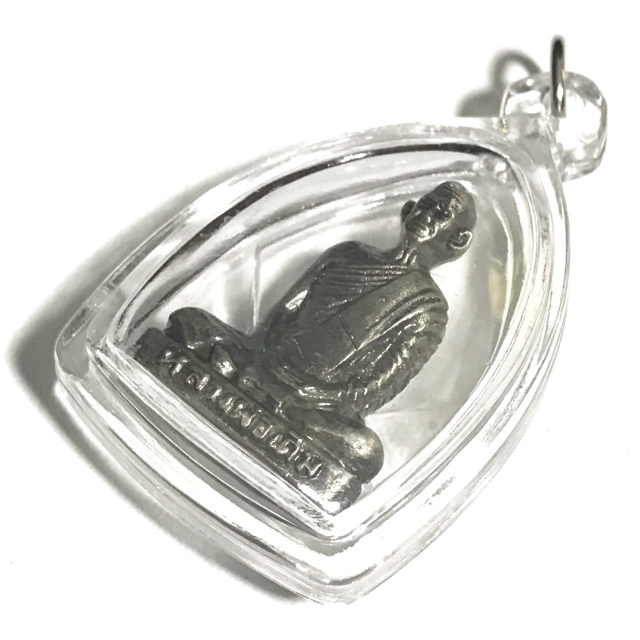 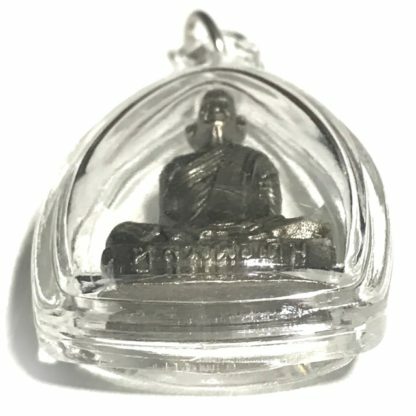 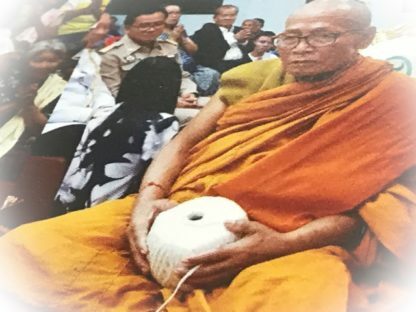 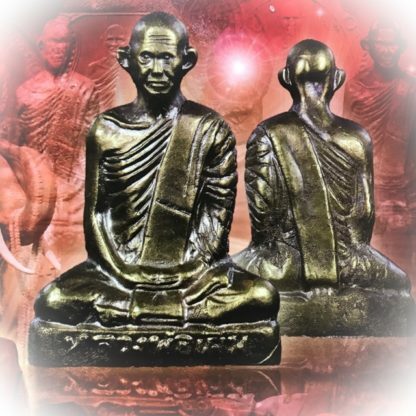 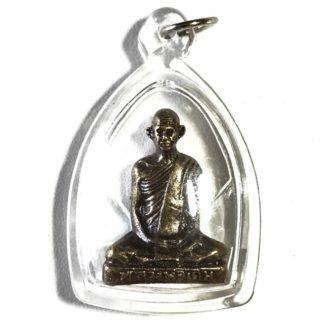 The Luang Por Derm Wat Po Sri Loi Ongk Statuette was released on the 9th April 2561 BE. 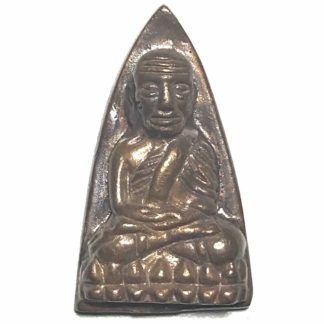 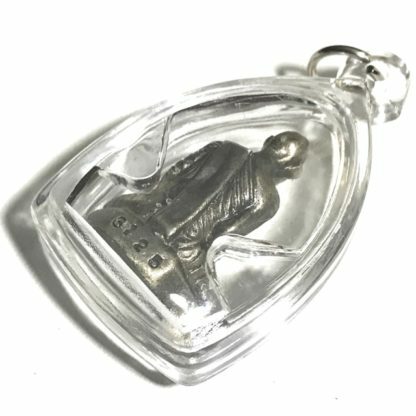 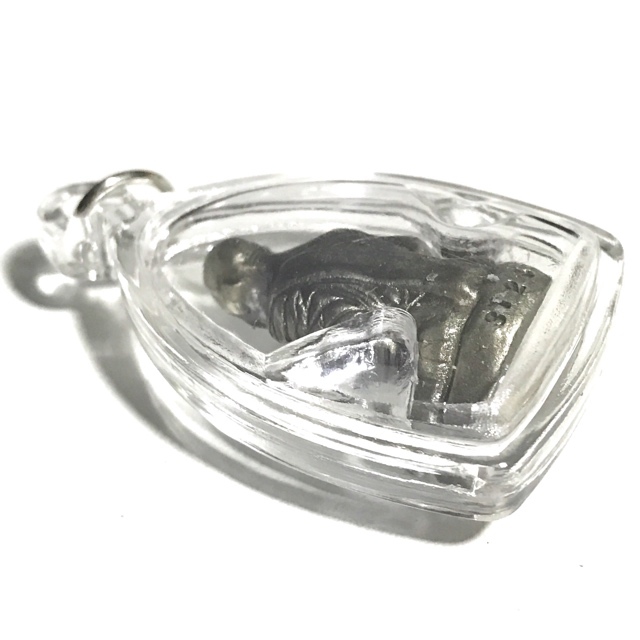 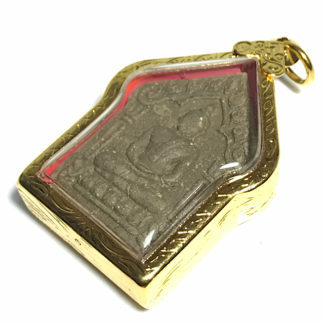 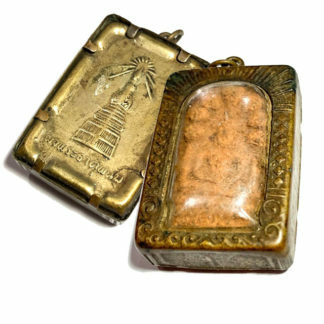 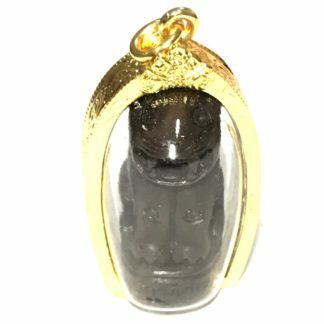 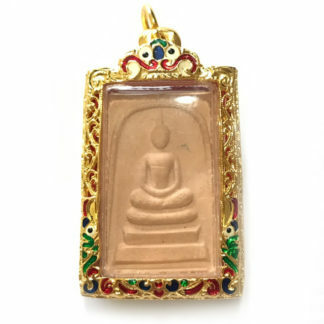 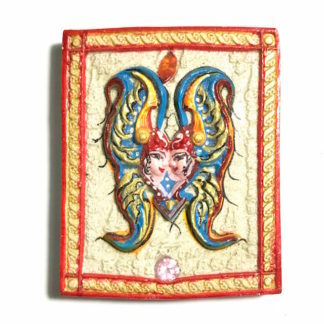 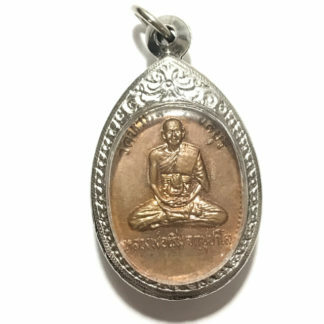 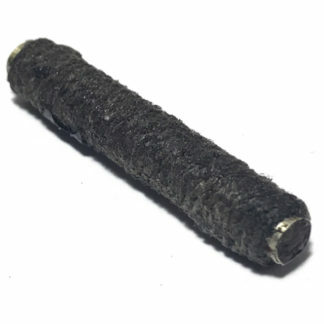 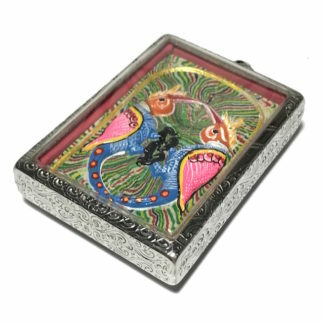 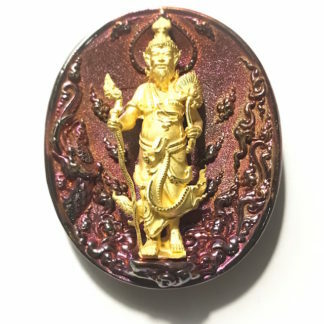 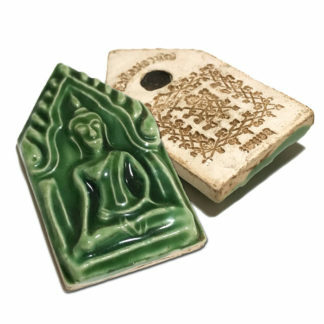 This particular amulet is in Nuea Tong Lueang Rom Dam, and was one of various versions made in differing sacred chanuan metals, including Nuea Tong Tip (Divine Brass), and Nuea Albaca of which only 4489 amulets were made. 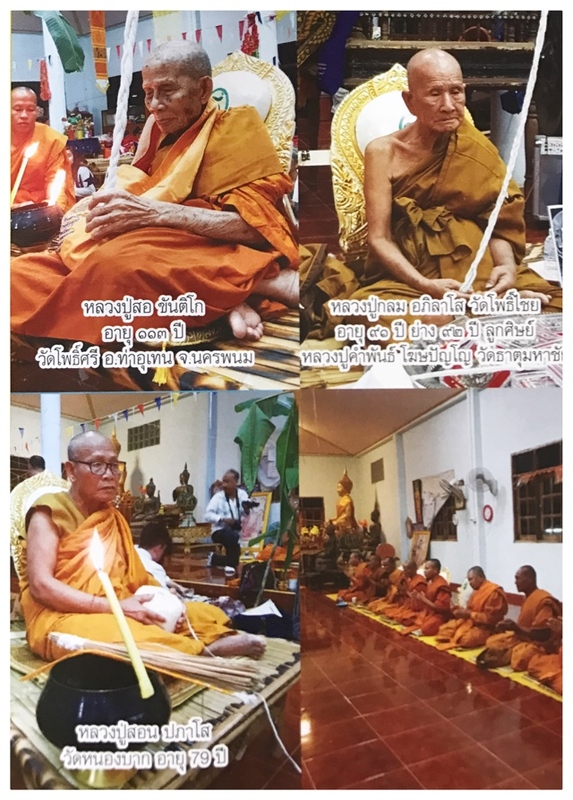 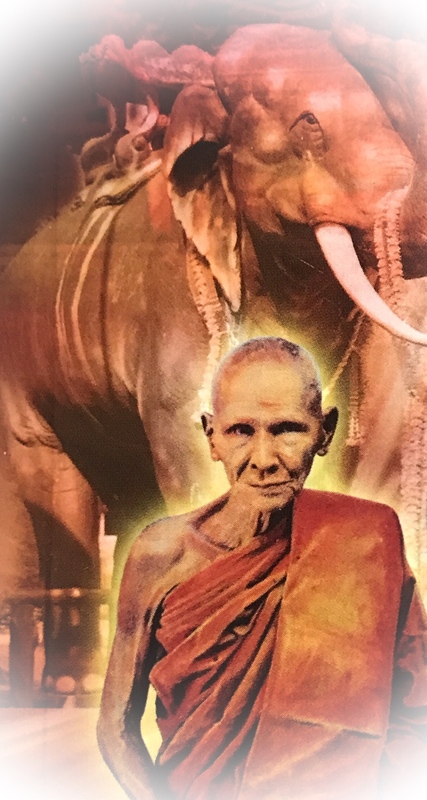 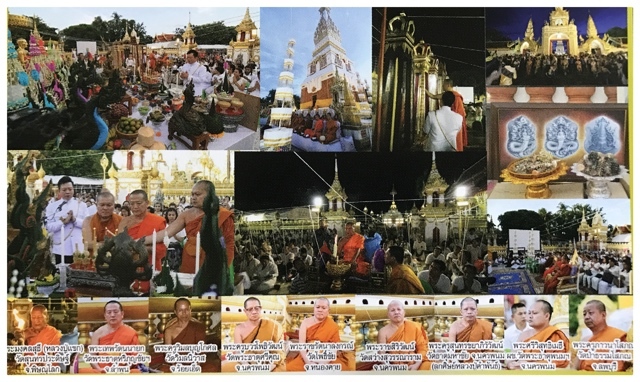 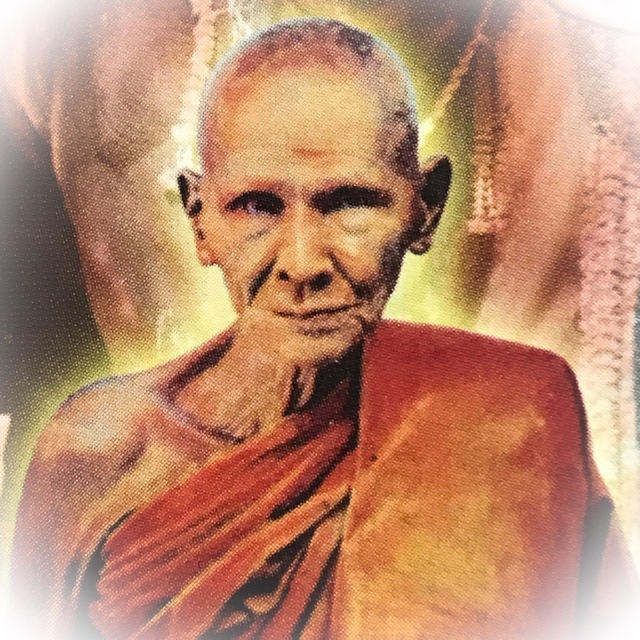 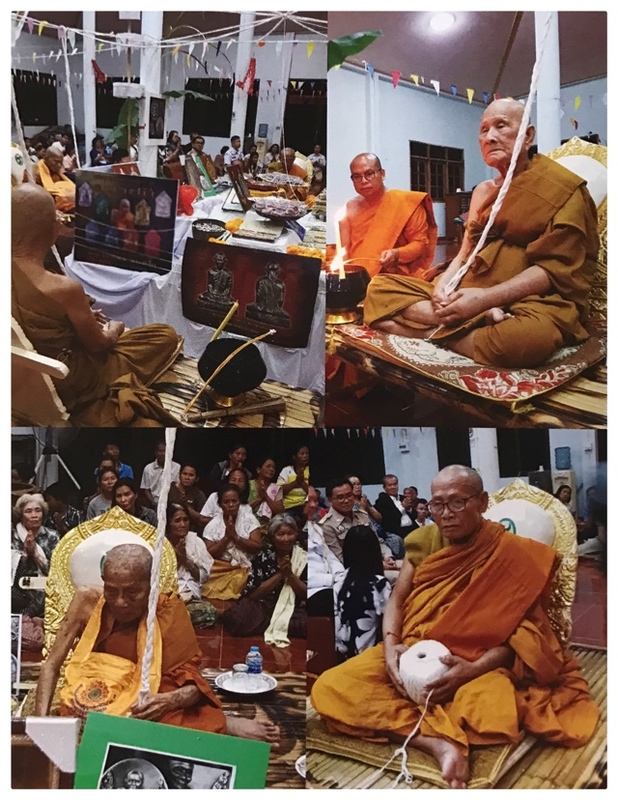 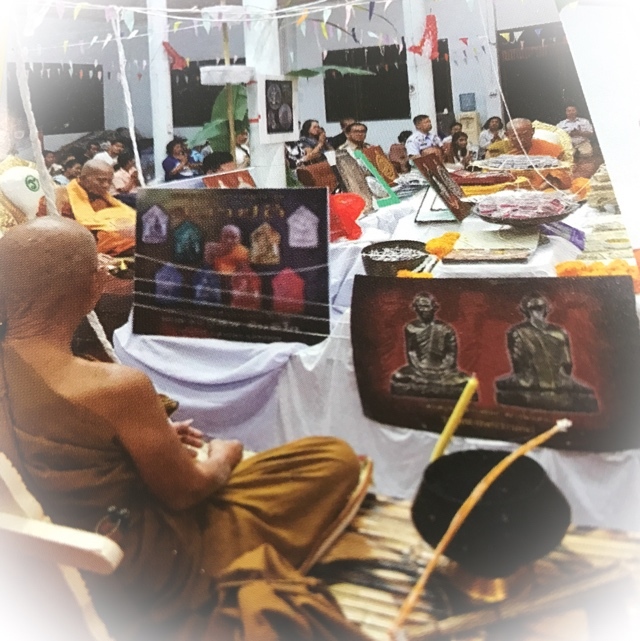 The second ceremony was performed at Wat Pratat Panom again, to bless the amulets after casting in full Buddha Abhiseka ceremony on the 30th October 2560 BE, with Luang Phu Sor presiding. 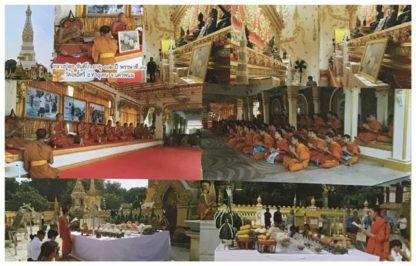 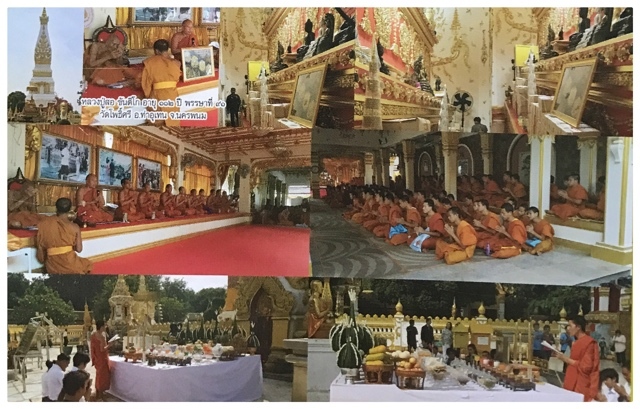 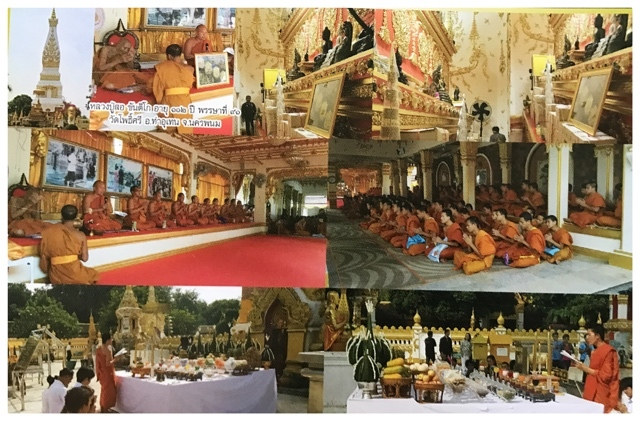 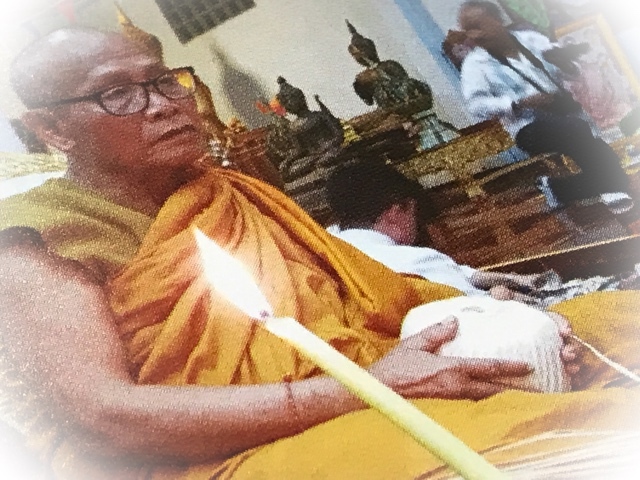 The final Blessing Ceremony was performed on Monday 9th April 2561 at Wat Po Sri, with Luang Phu Sor Luang Phu Glom and Luang Phu Sorn, along with the monks of the temple performing empowerment and blessings.